Home » Car insurance » Law » Rideshare insurance » Rideshare Accidents: Should You Hire an Attorney? Rideshare Accidents: Should You Hire an Attorney? Boom! It happens in an instant. You're riding in a car when suddenly you're involved in an accident. Your car slams into the back of another, you're t-boned as you enter a busy intersection. Whatever happened, there's a good chance that your life is about to change. Most people already know how to deal with the aftermath of a car accident. Gather the other driver's information, take lots of pictures, and call the police. The situation becomes slightly muddled, however, when Uber or Lyft are involved. Many people mistakenly rely solely on their rideshare company to handle the fallout. If you're injured, there's a good chance that you would benefit from hiring a personal injury attorney. "Often times, Uber and Lyft accident victims are unaware that Uber accident attorneys who specialize in these type of accidents are highly skilled in negotiating a much higher settlement," notes Los Angeles firm West Coast Trial Lawyers. In addition to gargantuan medical costs, a serious injury can drain your finances in other ways. You may be unable to work for an extended period of time or you might have to cover part of the repair cost for your vehicle. The Lyft insurance plan for drivers has $2,500 deductible. Uber's is $1,000. You're probably wondering if calling an attorney is worth it. Here's how you can tell. Do you need a lawyer? Well that depends. Do you believe that you can negotiate a proper settlement for yourself? Your attorney is going to expect a large portion of any money that you receive. If you think that you can get more money by facing the insurance company on your own, that's what you should do. However, you should be aware that typically claimants who were represented by a professional attorney receive much larger settlements than those who aren't. Sometimes the guilty party will refuse to admit fault in the accident. This could swell into a big problem if you're an Uber or Lyft driver. Rideshare insurance only kicks in if you're responsible for the collision. If you're innocent, yet the other driver refuses to acknowledge his error, you could be placed in a tough situation. An attorney can help you get out of the mess without going broke. If you caused the accident you probably don't need to hire a lawyer but you do need to speak your rideshare's insurance company. If you’re the passenger and you're injured, you need to know who to go after. Having a professional by your side is a huge advantage. An experienced Uber or Lyft accident attorney can save you a lot of hassle. If you don't have any damages, don't call a lawyer. If you do decide to seek compensation, however, a lawyer can help you get the amount you deserve. Are you a caregiver who can no longer look after your patient because of the car accident? Were you previously ill or disabled and the accident exacerbated your problems? If your injury isn't clear-cut, you definitely need to hire an attorney. Certain injuries can affect your life in ways that aren't immediately obvious. What if the person you were caring for was your mom and she passed away because you couldn't be there for her? It's very difficult for a claimant to argue emotional trauma without the help of a very skilled attorney. Being involved in a car accident is an awful experience. It's extremely stressful and often painful. There are things that you can do, however, to mitigate the damage. Hiring an attorney isn't necessary in all situations. If the accident was minor and there's not a lot of damage, there's no point in trying to get representation. You're not going to be awarded a settlement if there weren't any damages. However, if the accident was serious enough to cause real injuries, you have reason to call an attorney. In fact, it would be irresponsible not to. Unless you have a strong background in the law and a deep understanding of how insurance companies operate, you're probably not going to be able to negotiate a proper sized settlement. Your lawyer will work hard to ensure that you get every penny that you deserve. You can trust their work because they have a strong incentive- they'll get at least a third of your settlement money. Rideshares are still so new that a lot of people don't know that there are law firms and lawyers specializing in these accidents. 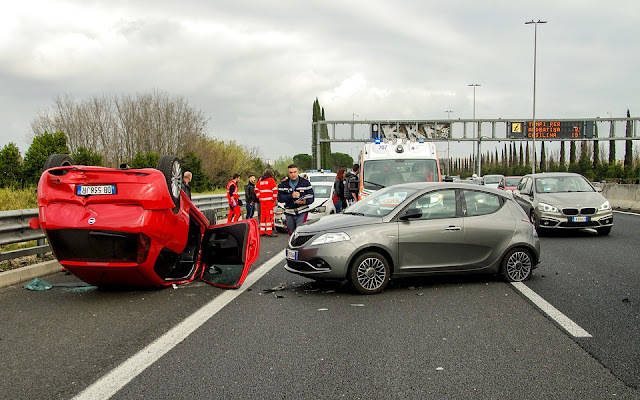 It does not matter if the accident is minor or fatal, it is highly recommended to hire respective attorneys. For instance, hire Truck Accident Attorneys if you or any of your loved one is injured in truck accident, Car Accident Attorneys or any Colorado Injury Attorneys whichever applies.